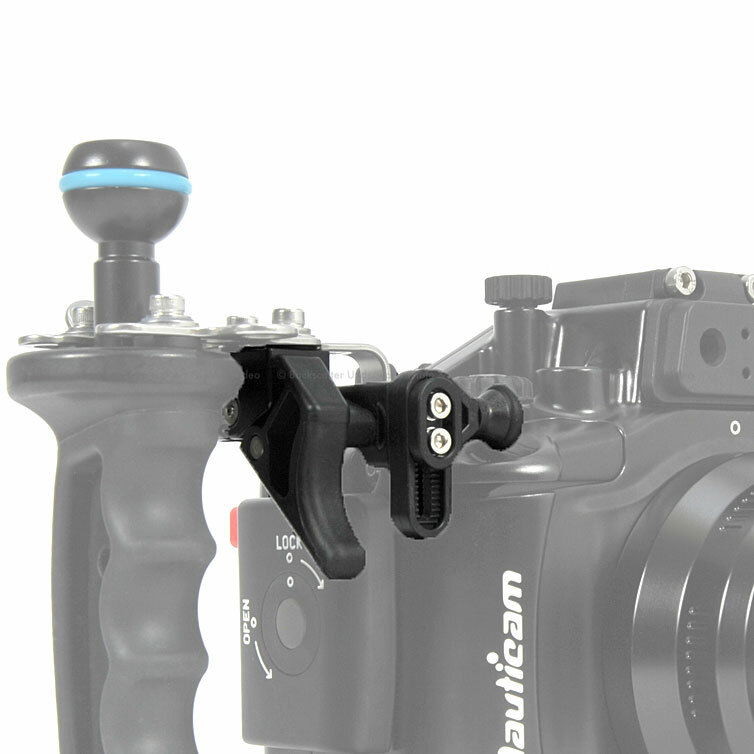 Nauticam compact housings have been designed around a right hand on the housing shooting style. Some users with big hands, or thick drysuit gloves prefer shooting from a handle. The accessory trigger mechanism provides easy shutter release access from the grip, and stainless steel brackets support the handles even with heavy strobes or video lights mounted.